For those looking for a sports coupe, the retro-tinged 2019 Chevrolet Camaro is a real alternative to often look-alike imports and domestic rivals Ford Mustang and Dodge Challenger -- and it's available as a drop-top. Buyers can opt for a sporty turbo-4, all the way up to the fire-breathing ZL1. Muscle is just half the story, however, as the Camaro also delivers satisfying road manners. It's bright red, has a giant wing and goes 150mph. What's not to love? This car is really fast the V8 engine is amazing. It is loud and grips the corners so well. I'd highly recommend it!! 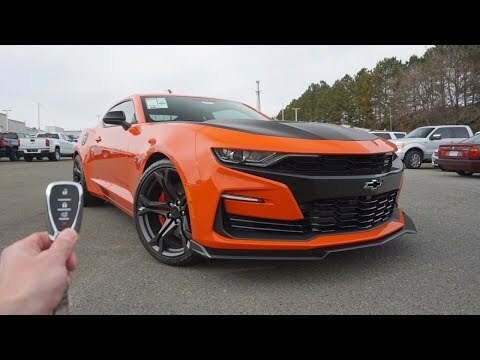 2019 Chevy Camaro 2.0T 1LE Review: Speed and Handling on Turbocharged Budget!